You need to pass both parts to pass the test. If you pass one part and fail the other you'll fail the whole test, and you'll need to take both parts again. 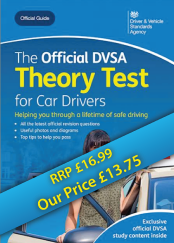 Once you have passed the theory test you can then apply to take your practical driving test. The multiple choice part is delivered using a touch screen computer. 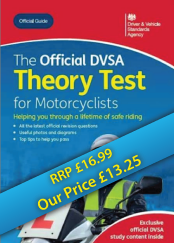 The questions in each multiple choice test vary according to the category of vehicle you're hoping to obtain a licence for eg a motorcycle theory test will contain specific questions that don't appear in any other test. Before the test starts you'll be given instructions on how the test works. You can also choose to go through a practice session of the multiple choice questions to get used to the layout of the test. At the end of the practice session the real test will begin. Some multiple choice questions will be given as a case study. The case study will show a scenario that five questions will be based on. The subject of the scenario focuses on real life examples and experiences that drivers could come across when driving. You can navigate between questions and 'flag' questions that you want to come back to later in the test. After the multiple choice part you can choose to have a break of up to three minutes before the hazard perception part starts. 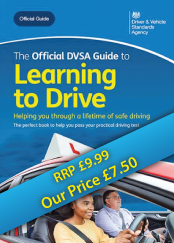 To pass the Car multiple choice section you will need to score a minimum of 43 correct answers out of a total of 50 questions within a time limit of 57 minutes. 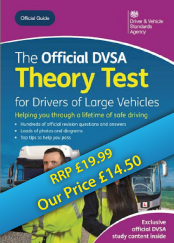 Currently all the official theory test questions and answers are available either on 'The Official DSA Theory Test CD-ROM or in'The Official DSA Theory Test'book for Car Drivers. However, realistically there is no way you can remember all the questions and answers which is probably a good thing. Learning by this method is called 'Rote' and is a crazy way to learn any subject, as you really won't gain much of an understanding. 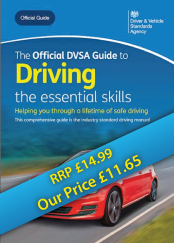 Far better to read 'Driving - the essential skills' it is considered the industry bible and ultimately will give you the edge to answer most questions you could be asked. 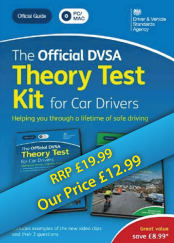 Then use the'The Official DSA Theory Test CD-ROM or'The Official DSA Theory Test'book for Car Drivers to test your progress. The hazard perception part does not have separate versions for different vehicles, the items are drawn from the same pool, and each vehicle category takes the same test. However the pass mark is different for different categories of tests. The hazard perception part is also delivered using a computer but you will need to respond by clicking a button on the mouse. You'll be presented with a series of video clips which feature every day road scenes. In each clip there'll be at least one developing hazard. To achieve a high score you'll need to respond to the developing hazard during the early part of its development. The maximum you can score on each hazard is five. You won't be able to review your answers to the hazard perception test; as on the road, you'll only have one chance to respond to the developing hazard. When you have finished the test you may leave the examination room. Once you have left the room, you'll not be allowed to enter it again. You'll then be given your result by the test centre staff. 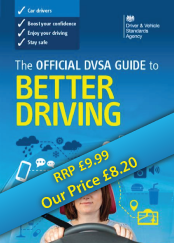 'The Official DSA Guide to Hazard Perception DVD'.